Are you an Alice in Wonderland fan? This is the latest version of the Rabbit, Super cute Crazy Cotton Tail! 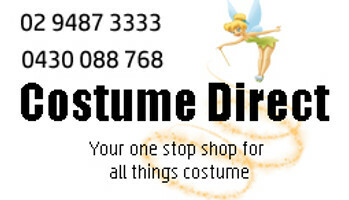 Be the best dressed at your next Mad Hatters Tea Party or Fairytail book week event. Large sized to Suit 12-14 year old. XLarge sized to Suit 14-16 year old.